The countdown started at approximately 8:40 Saturday morning in Nibley. The Federal Aviation Association was contacted, the strings and streamers were attached, and when the countdown reached zero a massive helium balloon lifted into the sky with three small boxes attached to it. “Now we’ve got to go track it and retrieve it!” exclaimed and excited Natalia Lopez. 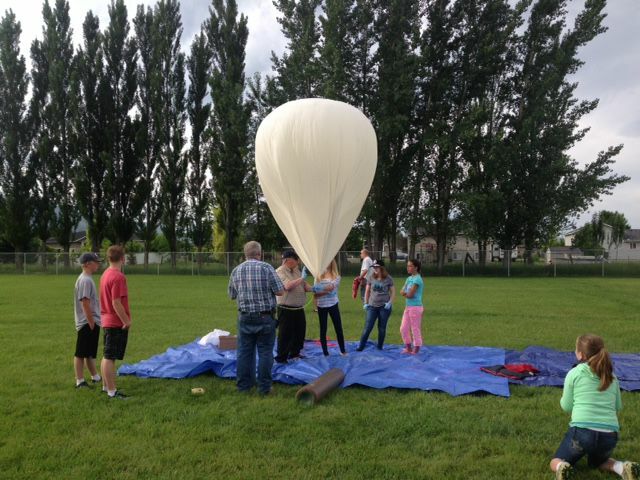 Just under two hours later, Natalia and about 10 other girls, their parents, a small group of Utah State University students and some volunteers from the Bridgerland Amateur Radio Club tracked the balloon’s remains to a farmer’s field in Thatcher, Idaho. The balloon travelled north, north-east into Franklin County before it burst at an elevation above 112,000 feet, or over 21 miles above the earth. 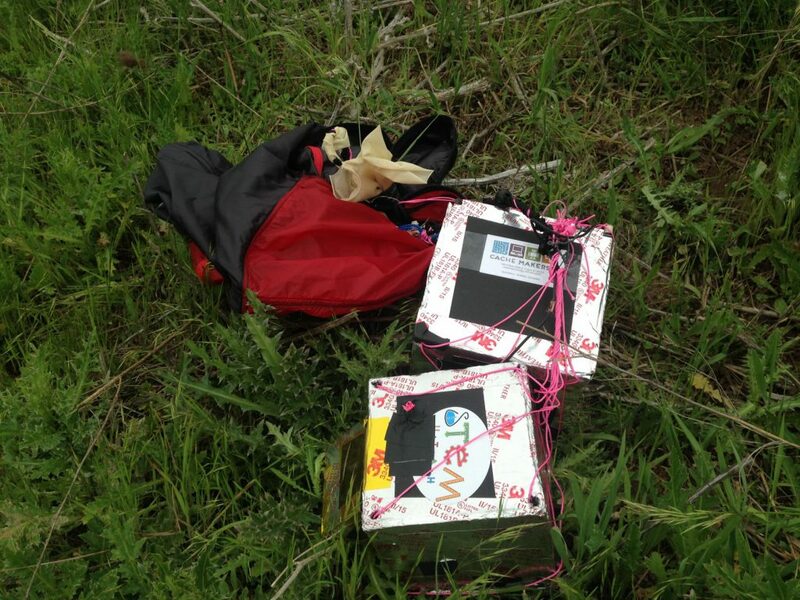 With the aid of a parachute, the packages attached to the balloon drifted down and landed in a field not far from the Bear River and approximately 12 miles south of Grace, Idaho. 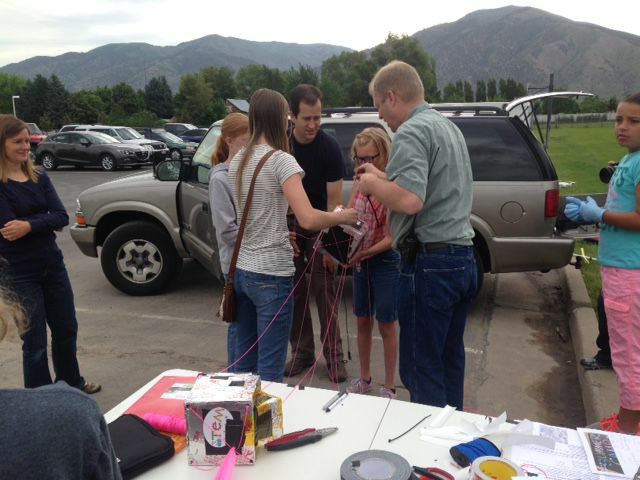 The balloon release was part of a 10-week course for girls-only through Cache Makers 4-H Club. Kevin Reeve, co-founder of the club and leader of the course and launch, said it was fun and important to do a project like this with the girls. 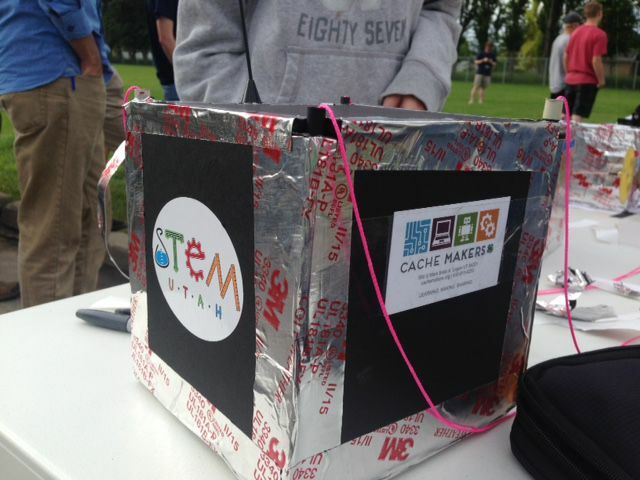 “When Joel Duffin and I started Cache Makers we had group of 17 kids that included both girls and boys. I noticed that girls approached things different than boys,” Reeve explains. “Since that time I talked to some folks and came up with the idea to do a girls-only kind of activity as part of Cache Makers. 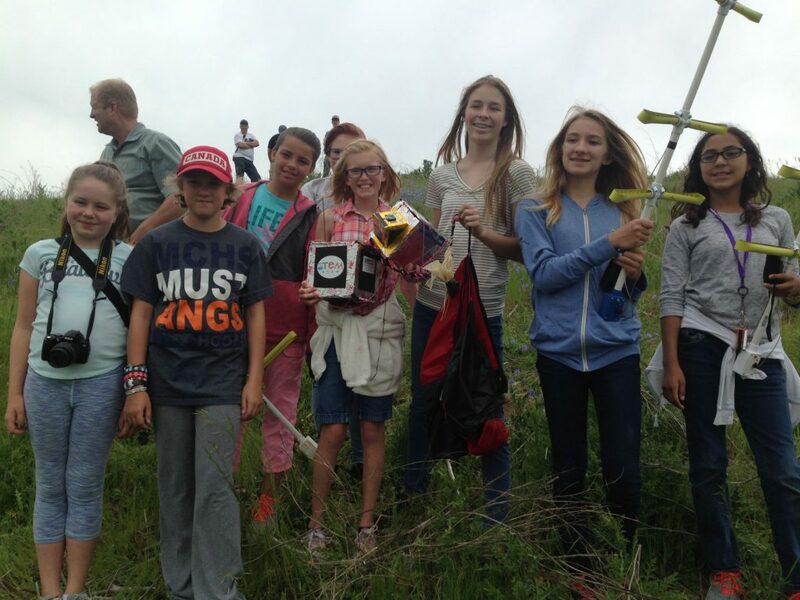 The group of girls, between the ages of 11 and 15, built small boxes filled with a variety of different sensors and even a digital camera. The girls have been learning about what each sensor does, how it operates, how to read its data and even how to predict the balloon’s flight path. 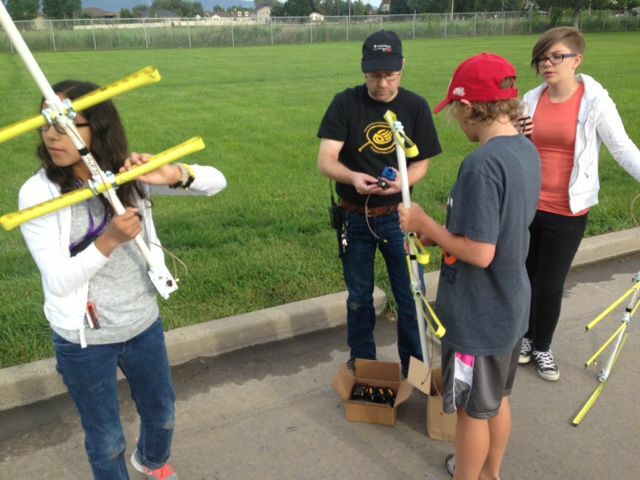 The payloads tracked a variety of information during the balloon’s flight, including luminosity, ultraviolet light, temperature, altitude, GPS, and more. 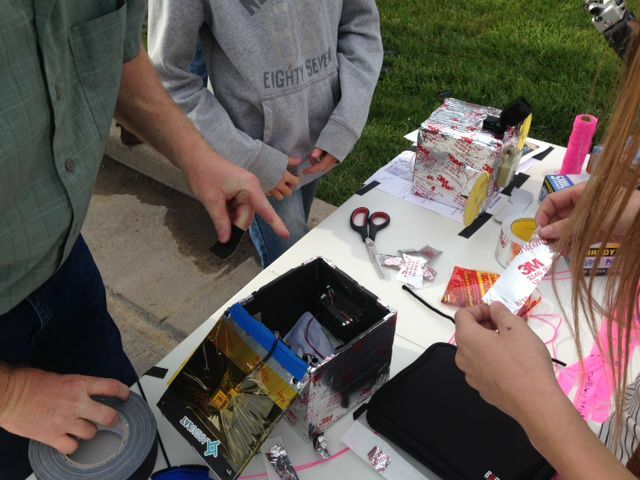 They also included a small radio transmitter so the group could track the balloon’s location. 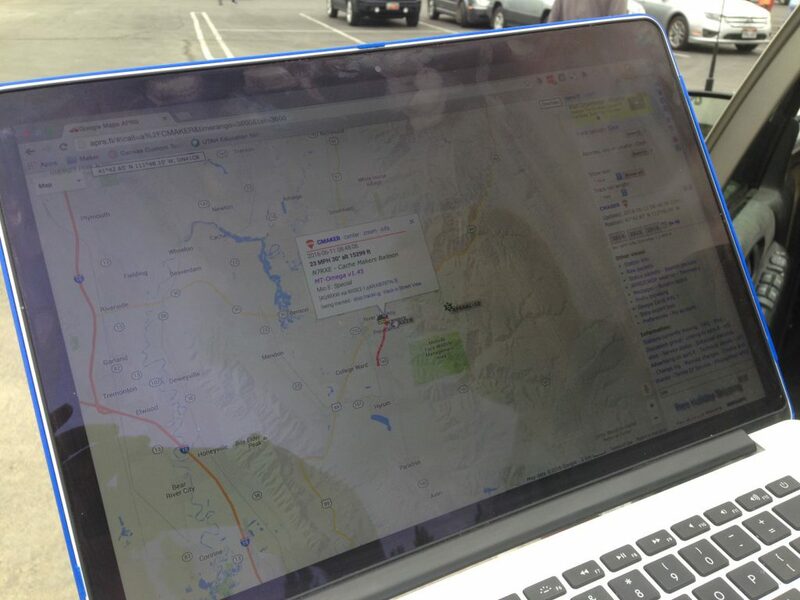 The group was able to track the balloon’s flight online so they could find the general vicinity of where the payload descended with a small parachute. 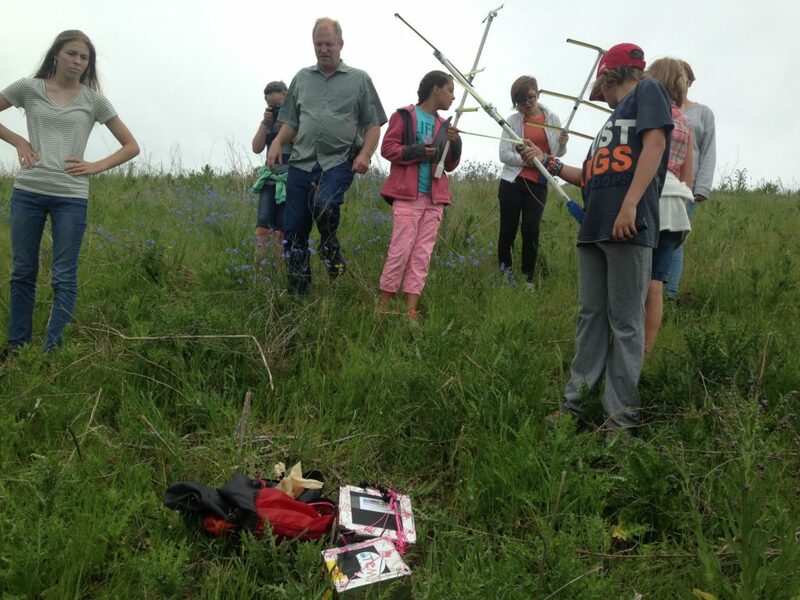 Once they found the general area, the girls used their antennas and radios to pinpoint their payload’s location. 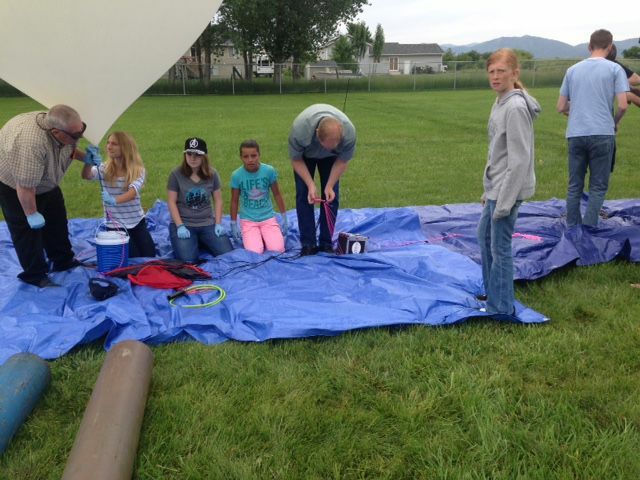 Stan Wellard was a guide to the organization’s first balloon launch last fall and assisted again on Saturday. Wellard had a lot of experience launching similar types of balloons and small satellites with the Space Dynamics Laboratory. 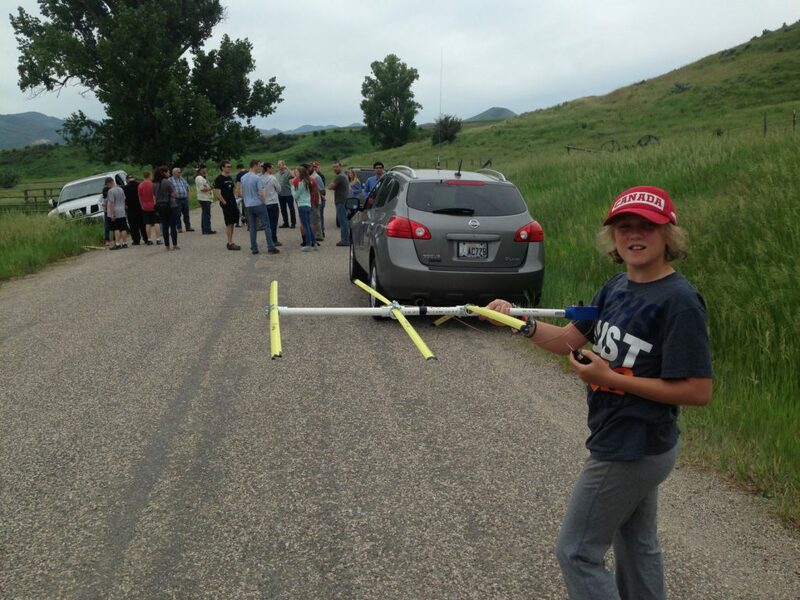 Sadly, the payload constructed by a team of USU students participating in the school’s Get Away Special program could not be recovered. Their box was not at the scene with the other payloads. Somewhere along the way it separated and unfortunately did not contain its own radio transmitter or tracking device. 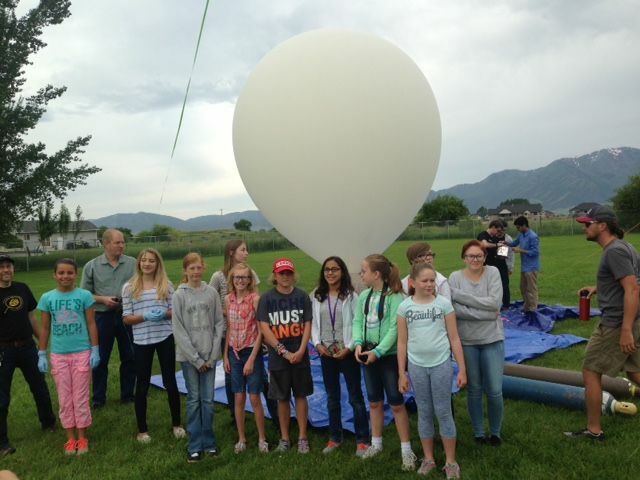 Over the next couple of meetings with the group, the girls will learn to extract the information from the balloon’s sensors and then learn how to present that information. Those in the Girls Space Science and Engineering Team include Andrea Moser, Jenna Porter, Lydia Conger, Madi Frandsen, Natalia Lopez, Natalie Lyman, Kristen Call, Annalise Schuldt, Brooke Gines and Hallie Ballstaedt. 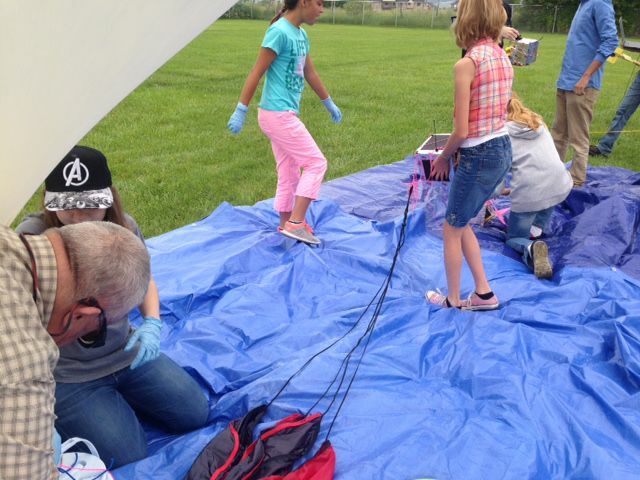 They received help from girl mentors Ella Allsop, Abby Roos, Kirsten Reither, and Courtney Christensen who took part in last fall’s balloon launch. Besides the leadership and direction provided by Reeve and Wellard, other mentors assisting the girls included Chris Lyman, Ryan Conger, Benton Porter and Travis Call. 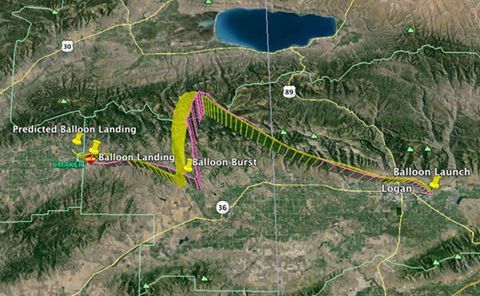 Jared Smith created this mashup from APRS KML data showing the balloon's predicted path with its actual path.